uki will deliver your high quality electrical insulation and bespoke materials in a timely and efficient manner. Having worked with many of the largest firms in their fields, uki understands the electrical insulation concerns of a wide range of industries. This includes working with huge companies in industries such as power generation, automotive and general electrical protection. Electrical and heat insulation materials play a vital role across many industries and uki can create customised solutions to challenging problems its clients face. Whatever industry or sector you work in, uki has the experience and expertise to provide the electrical insulation or flexible film material you desire. uki’s stock materials are used in a wide range of industries and sectors. 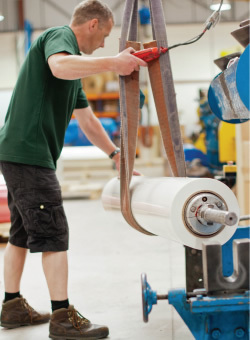 Products include Nomex brand products, flexible films and insulation materials, gaskets, cables and bespoke solutions. uki also offers a customised slitting service, with machines that can cut your materials to your exact specifications.